We're glad you love our Sandwiches, but you should try our Pizza! 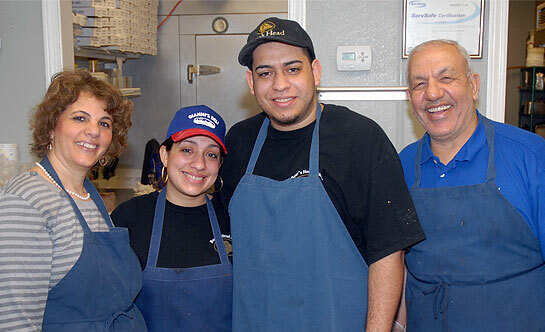 Gianni's is a family business proudly serving the best Subs, Pizza and Italian Entrees! Our Sandwiches are piled high with top quality Bores Head deli meats. Our Pizzas are loaded with cheese and toppings and a hearty crust. We are based in Needham, Mass but proudly serve our patrons from many neighboring communities: Needham, Newton, Dover, Wellesley and more! Gianni's has the best pizza in the area. The crust is thick and crispy. The sauce is flavored perfectly. The sanwiches are enormous. I have always ordered a small sub and am more then full when I finish it. The prices are reasonable, especially considering the portion sizes. The restaurant is family owned and they are always friendly.